A few weeks ago, I had just gotten frustrated with Zach over something regarding a goal he set for work that he wasn't taking very seriously, in my opinion anyway. Zach and I are very different people, as most married couples are. When I set a goal I talk about it at length and keep Zach posted on my progress (or lack thereof at times). When Zach doesn't do this, I often make the assumptions that he's not as dedicated or that he doesn't really care. I hurtfully told him as much that night. Almost immediately after this discussion, I went to use the computer. I noticed Zach had 15 browser tabs open, "Of course.." I began. Until I realized that one tab was for email, another for a video game, and the remaining thirteen tabs were study guides and tech sites that Zach was searching to prepare for an exam for a certification he's seeking. I was looking for the wrong things. I wanted Zach to behave like me or perhaps even someone else, but I wasn't looking for Zach's way of showing dedication. Through the right eyes, I notice that Zach puts in extra work so that he can do a good job each and every day. Or I might notice that wore slacks today because he had a committee meeting during lunch. 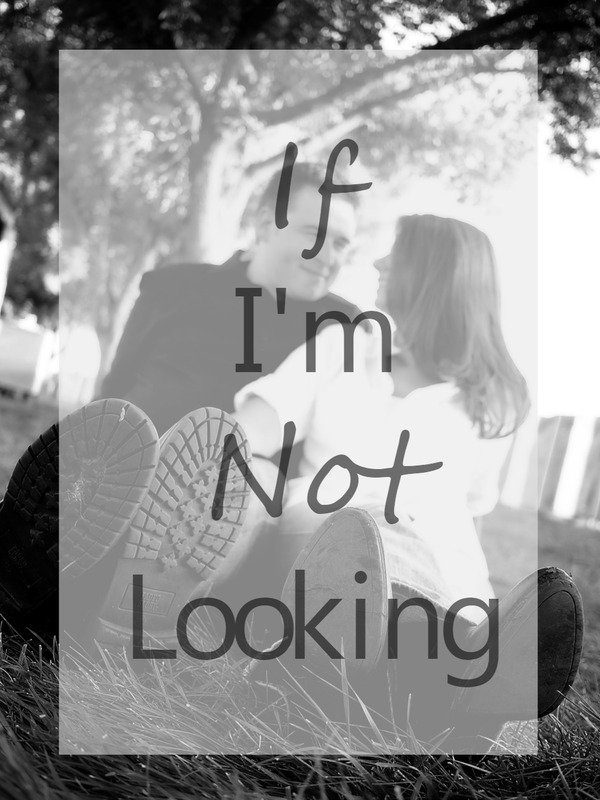 If I'm not looking, I don't recognize the things my husband does and that can be detrimental. The first year of JaiseAnn's life was hands down the hardest year of our marriage. I am very proud of how we have managed to better ourselves through that experience. The difficulty wasn't so much in each other, but in what we faced together. At times, though, it caused me to turn on my husband. Looking back, I probably wasn't looking closely enough--not looking for the ways he was taking care of our family and showing his love for us. This lesson I've learned can be applied to all aspects of a marriage. If I'm not looking I might not notice that Zach always takes the cars to be serviced and takes the trash out every morning. He doesn't make a big deal of these things, he just does them and I either take the time to notice or I don't. If I'm not looking, I might not notice that he's fixing the sprinklers before he leaves for work in the morning or stopping by the ATM to get tithing out--a true testament of his faith. If I'm not looking I might not notice the way Zach plays with JaiseAnn or hear the way he talks to her. The other night she was playing with her doll and I heard Zach say to her, "Oh, you give your doll a kiss. You are such a good mommy!" I could miss the opportunity to appreciate the father he is to our daughter. If' I'm not looking, I don't see my husband for who he really is. If I'm looking for things that aren't there instead of the things that are I miss it all. I miss out on him and I miss out on my marriage. Here's to remembering to look a little more closely at our spouses and enjoy the gratitude we feel for all that they do. What do you miss when you're not looking?